A focus of the IUSS Working Group on Proximal Soil Sensing (WG-PSS) is to hold regular workshops. Short reports on previous workshops will be published below. 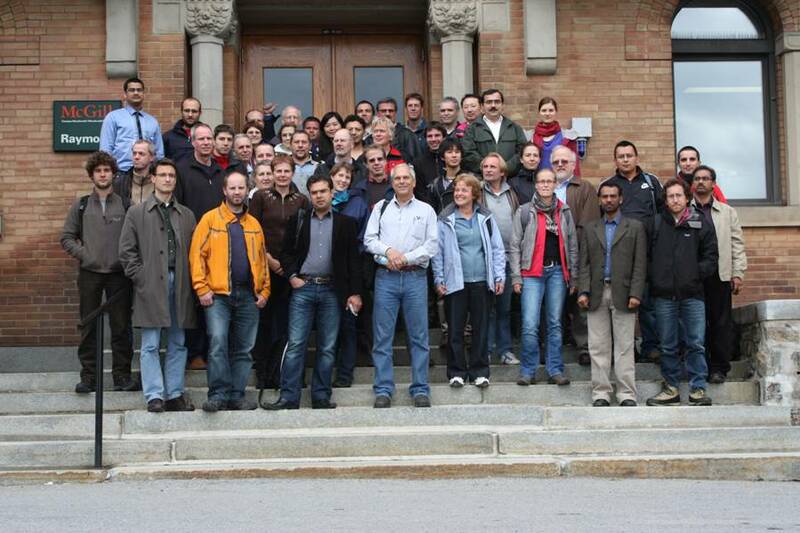 The Third Global Workshop on Proximal Soil Sensing 26-29 May, 2013, Potsdam, Germany. The workshop was organised to bring together global community devoted to advancements in technologies related to measurements by sensors placed in proximity to the soil being tested. As with the previous workshops, it was held under auspices of international union of soil science (IUSS) working group on proximal soil sensing (WG-PSS). Locally, it was organised by Leibniz-Institute of Agricultural Engineering (ATB), Leibniz-Institute of Vegetable and Ornamental Crops (IGZ Großbeeren), and the University of Potsdam (Potsdam, Germany). Over 80 researchers from various disciplines and 23 countries were present. The workshop included two full days of presentations, a field demonstration event and a number of networking and discussion sessions. 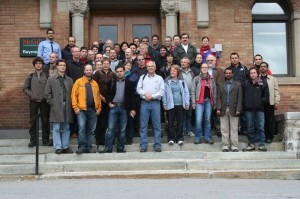 The Second Global Workshop on Proximal Soil Sensing 15-18 May, 2011, Montreal, Quebec, Canada. This workshop was organised to bring together those developing and using proximal soil sensors for applications in soil and environmental sciences and engineering. It was held under auspices of international union working group on sensing (WG-PSS) organized locally by McGill University (Montreal, Quebec, Canada). Researchers from various disciplines were present, including soil scientists, agricultural engineering, geophysicists, spectroscopists, agronomists, statisticians, as well as commercial entities involved in the development and use of proximal sensors. 1st Global Workshop on High Resolution Digital Soil Sensing and Mapping 5-8 February 2008, University of Sydney, Australia The workshop attracted 90 soil scientists, agronomists, agricultural engineers, spectroscopists, statisticians, geostatisticians and proximal and remote sensing specialists from 18 different countries. Presentations were made on various aspects of PSS, including methods of soil sampling, a wide range of techniques, spatial prediction using high-resolution data and applications of PSS. The workshop was a success and participants supported the proposal for a working group on the subject.